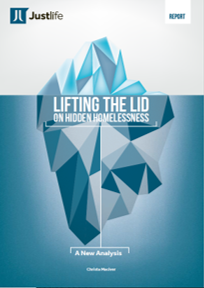 Christa Maciver from Justlife has published a report that provides fresh analysis of data on hidden homeless populations in unsupported temporary accommodation (UTA) in order to lift the lid on the true extent of homelessness in England. UTA is private, short-stay accommodation in which households do not have permanent residency status and limited access to local authority support to find settled accommodation. It includes Bed & Breakfasts (B&Bs), short-stay HMOs, private hostels, emergency accommodation and guesthouses. UTA is typically ignored in legislation, policy and initiatives aimed at reducing or ending homelessness, in spite of the role it plays in the homelessness ‘system’.